1. Topical eye drops or ointments. 3. Sub-Tenon injection of corticosteroids, such as Kenalog. 4. Intravitreal injection of corticosteroids. 5. Intravitreal implant of medications, such as Retisert (corticosteroids). 1. Intravitreal injection of medications such as anti-vascular endothelium growth factor (anti-VEGF) agents (e.g., Lucentis, Eylea, Avastin). 1. 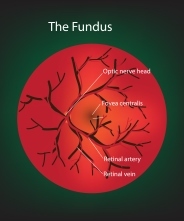 Focal and pan retinal photocoagulation laser treatment. 2. Intravitreal injection of corticosteroids or anti-VEGF agents. 3. Vitrectomy surgery to clear out blood and to help prevent progression of the disease. 1. Pneumatic retinopexy, where a gas bubble is placed in the vitreous cavity. This is usually done in conjunction with laser treatment or cryotherapy. 2. Vitrectomy with gas bubble or silicone oil placement: it is placed in the vitreous cavity at the end of vitrectomy surgery for treatment of retinal detachment. The gas bubble will be absorbed within 1 – 2 months. The silicone oil will remain until it is removed in 4 months to 1 year, or longer if indicated. 3. Scleral buckle, where a silicone band is placed outside the sclera (the white eye wall) to support the retina. 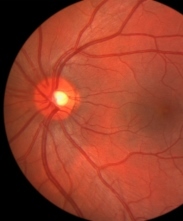 Other retinal related problems may require any of the treatments above, such laser and anti-VEGF injection for retinal vein occlusion, or vitrectomy and antibiotic injection for severe eye infection.